This doesn’t work with a peacock. It is perfect by nature. Human beings need more to reach this beauty. They are struggling with themselves, by aiming at being perfect. They get frustrated because it doesn’t work. You can see it in their faces and in their movements. The more they are working on this, the less it works. But suddenly, it happens that there are moments in life when everything seems perfect. It feels amazing. You’d like to freeze these moments for being eternal. This state of consciousness is written on your face and on your body. There are sometimes other moments when you try hard to remember these amazing moments wishing them back, but you feel awful. You are even convinced that everybody recognizes it in your face. You’d wish someone could stand in front of you telling you: you are beautiful; you are perfect. Believe it, feel it in your heart. 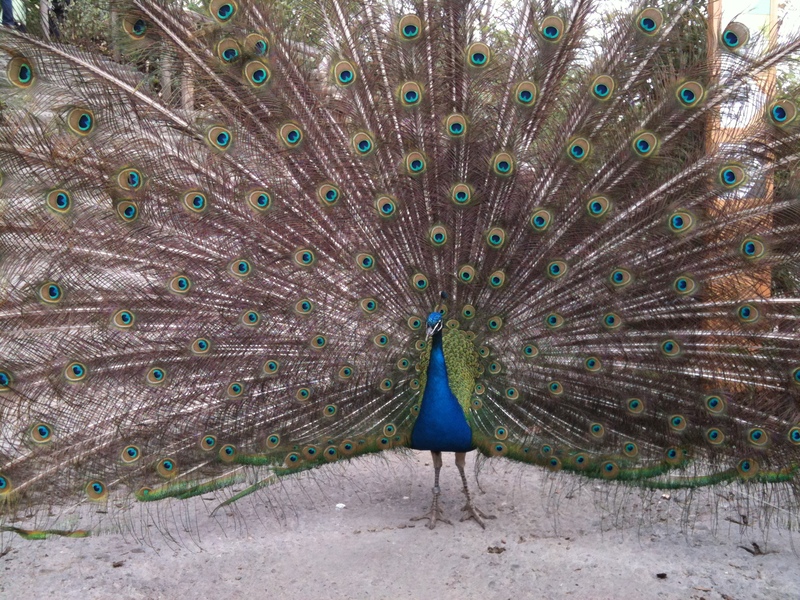 And it would come true, just like this peacock turned into this beautiful being.